Peacefully, Friday morning, October 5th, 2018 at Health Sciences North, Sudbury. 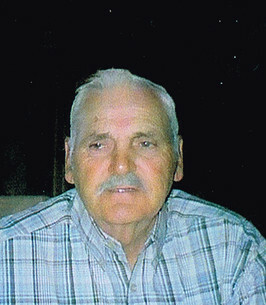 Beloved husband of Huguette Irène (nee Philion) St-Jean predeceased in 2007. Loving father of Danny (wife Betty Ann), Claude (wife Kim) and Marcel (wife Shelley). Proud grandfather of Scott (Dave), Nicole (Kyle), Devin (Kirstyn), Aarik and great grandchildren Liam and Adam. Predeceased by his parents Ernest and Ida (nee Bertrand) St-Jean and by his brothers and sisters Lumina Rheault, Thérèse Lalonde, Louis, Eugène, Joseph, Paul, Marguerite Gladu-Sauvé and Anita Fortier. Special uncle of several nieces and nephews. Lionel was born and raised in Whitefish. He married Huguette in Sudbury in 1955. He worked over 35 years as a truck driver for the City of Sudbury, retiring in 1994. He enjoyed his retirement years keeping himself busy by volunteering for over 40 years at St-Jean-de-Brébeuf Church, running the chariot ponies, the demolition derby and working as a bouncer at the Lido hotel. Lionel leaves a rich legacy of love, faith and devotion and will be sadly missed by all who knew him. The family wish to extend a sincere appreciation to the doctors, nurses and staff of the 4th and 7th floors at Health Sciences North for the exceptional care given to Lionel during his illness. Donations in his memory to the Soup Kitchen would be appreciated. Notre Dame at Kathleen St.
We encourage you to share any memorable photos or stories about Lionel. All tributes placed on and purchased through this memorial website will remain on in perpetuity for future generations. In Loving memory of Lionel St. Jean. For all of your hard work in the community. May you rest in peace. Heart felt condolences to Danny Claude and Marcel and family,your dad was so loved by many hen will be missed. Our deepest condolences. You leave those who love you, plenty to emulate. See you soon enough Uncle. Always in our heart and thoughts forevermore.